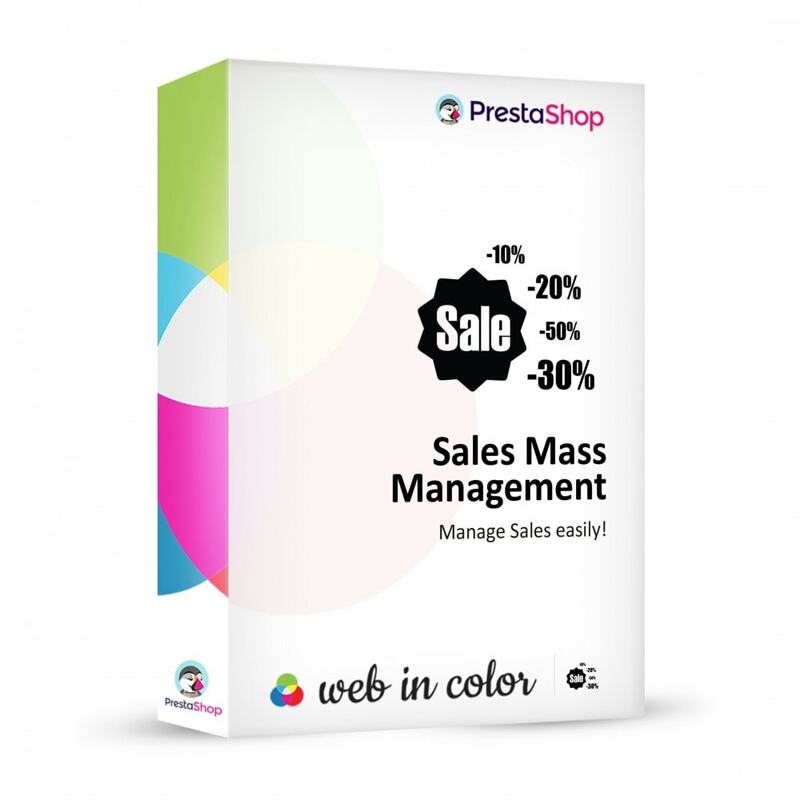 You want to mass manage your sales and promotions and sales easily and efficiently, according to a supplier, manufacturer, category? Manage your sales and promotions in a few clicks! You want to save time during the sales periods or during occasional promotional offers? With this module you can manage your promotions globally with ease, and thus save time. You'll be more efficient and limit the risk of errors by allowing the module to make the cuts you. 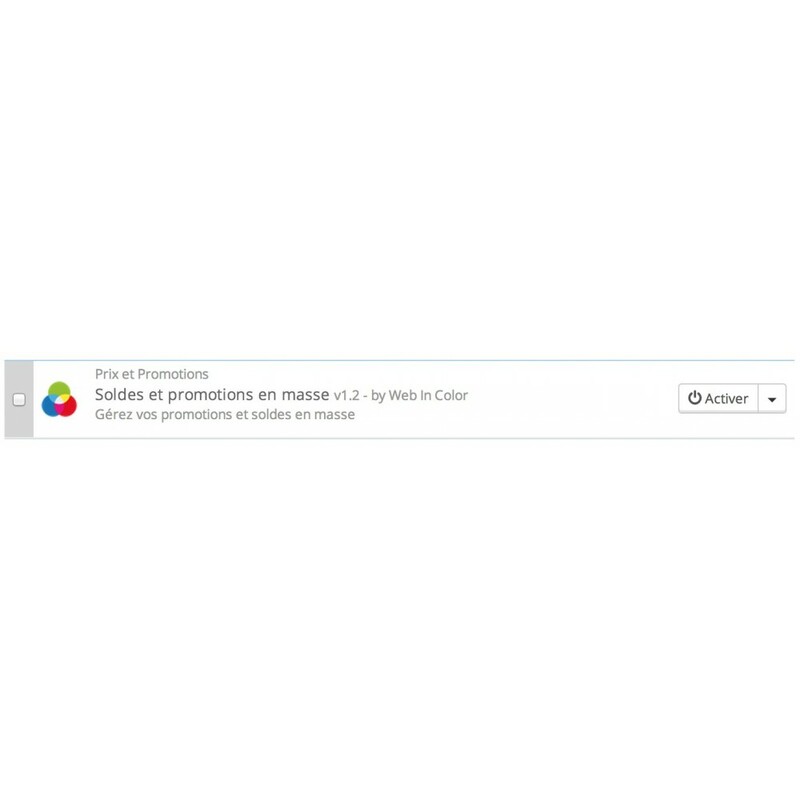 In three clicks all your promotions are created. A supplier makes you a special discount, do immediately enjoy your guests! Module works with the multi-store! Full integration into your administration modules. Create promotions and / or sales using the filters categories, manufacturers and suppliers and shops. Can combine all filters or use one. Management promotions and sales in fixed amount or percentage. Define dates of promotions and sales. Remove all current promotions, depending on filters (categories, manufacturers, suppliers). Display or not icon and sentence "Sales" on category pages and product sheets. 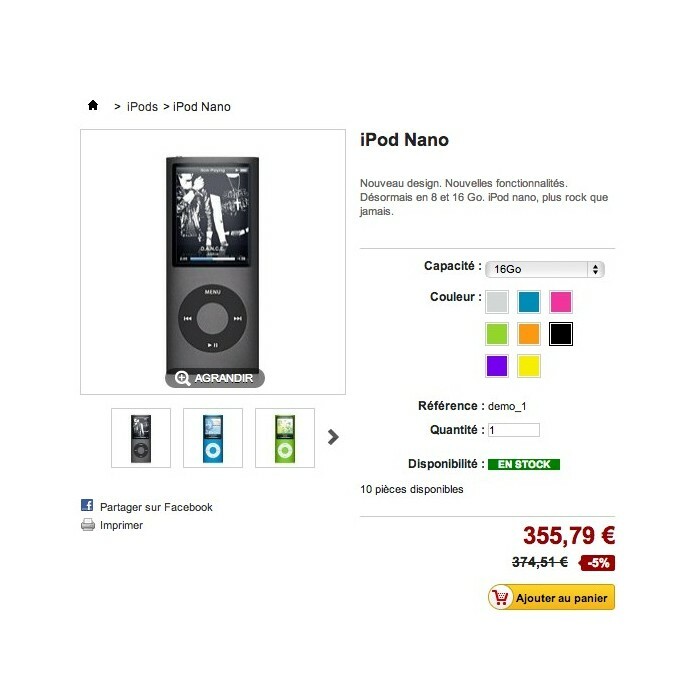 This module allows creating various stickers and attaching them to the image of a product available in your store. when you set a sale, it deletes the contents of specific prices. This is not ideal, for we had set up quantity discounts in specific prices. When a sale was started it overrides the current specific prices and then deletes it when the sale stops. Nothing special, only one click !